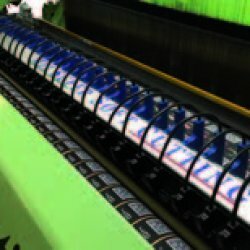 Mei Air Jet : Compact size, efficency and top performance in yarn handling, the highest production rate with high quality woven labels, no waste during production, due to large jacquard size, expecially suitable for anti-counterfeiting labels. Easy manteinance and low operating costs with new syncro-drive system, costant electronic monitoring on its parts with Fast-Ethernet technology, reduced air consumption and more precise adjustment of main nozzles, with new valves control, new automatic filling threading process for main nozzles, minimizing the import of power trasmission on the surface of yarn, with efficiencies and performance improvement. The entire communication, with control and process, is effect via Fast-Ethernet, guaranteeing new developments in electronics and drive technology, for best performance of the machine, even giving the possibility to record all production data via USB. Speed 750 rpm. - up to 900 rpm. Overall dimension Height 3.700 mm. - lenght 5.800 mm. 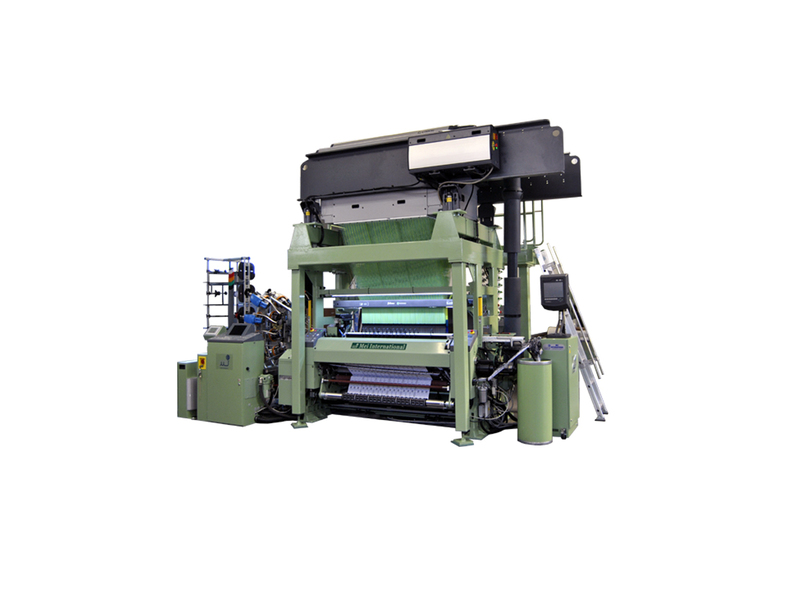 - width 1.800 mm. 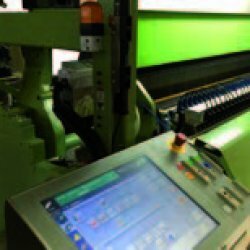 Automatic filling repair AFR No manpower required to restart the loom after weft stops. 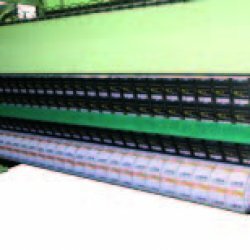 Efficiency highly increased, and fewer operators per looms are required during production.